Of the things I despise doing such as mowing the lawn and doing my taxes, returning broken items to the store ranks near the top. 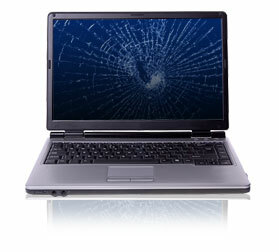 I once tried to return a new laptop because the screen didn’t work. My high expectations as I pulled it out of the box turned to immediate frustration as I tapped at random keys in the hopes the screen would light up. This frustration followed me as I walked up to the customer service desk and pushed the computer across the counter. About the only thing worse than this feeling of frustration is feeling like an idiot which is what happened next after a scrawny tech guy did a quick inspection of my “broken” laptop. “Yeah, you have to flip off the screen lock switch right here,” he pointed out as if, duh, how you not known this. Companies can feel the same frustration with their content marketing programs. “Why isn’t this working?” they wonder after investing all sorts of time and resources into a marketing initiative that’s failing to produce the results they anticipated. Indeed many companies are putting their weight behind content marketing. The Content Marketing Institute reported that B2B marketers are allocating 33% of their budgets to content marketing, an increase of 26% over last year, and, furthermore, 54% claim they to intend to up their spend in 2014. That’s a considerable amount of money being spent to churn out blogs posts, ebooks, videos, articles, etc. The problem then isn’t in the effort but rather in the execution. Companies that believe their content marketing programs are broken may want take into account these four considerations to assess fi this is really the case. 1) Lack of Focus: Many times companies start off by producing gobs of content without any focus or direction behind it. The better way to begin, however, is to take the time to do some up-front work. It is best to determine what you want your content to achieve (awareness, leads, sales), how it will support your larger marketing objectives, and which metrics will help verify overall success. Knowing where you are headed with your content is essential to its effectiveness. 2) Clear Path to Conversion: You may have objectives and KPI in place but have you determined a clear path to conversion? Have you built detailed buyer personas that represent your ideal client? Personas help in determining your target audience and in understanding the questions they might be asking through the buying cycle. Hint: These questions are what your content should address at all stages of the buying cycle, leading clients along a clear path to eventually convert into leads and sales. If this path is not clear to you then it’s not going to clear to others either. 3) Passion and Substance: Here’s where companies can do everything right and still not see results. Why? There are a number of reasons—it’s too keyword focused, it’s salesy and overly promotional, it sounds canned, or it just lacks passion. People’s time is limited so successful content has to be creative, entertaining, useful, and authentic. These elements foster a potential client’s trust in your company, which in turn increases the likelihood they will choose you over the competition. 4) Not Being Heard: Again, this is an area where efforts are stymied. Content that’s not being heard from out of the crowd is worthless even it’s the best thing since the invention of the wheel. This is where marketers must take into account how their content will be distributed. There are a number of tactics including posting through social media channels, syndicating regular content to other sites, taking advantage of guest posting opportunities, and even using paid ads tied to premier pieces of content. Don’t expect people to find your content just because you wrote it; get it out there where it can be consumed and shared. Content marketing programs can’t be returned like a busted computer, but they can be shut down before they have even proved their worth, especially if management sees it as being broken. But it might not be. Compare your efforts against these considerations, make adjustments where they’re needed, and prove that content marketing works.